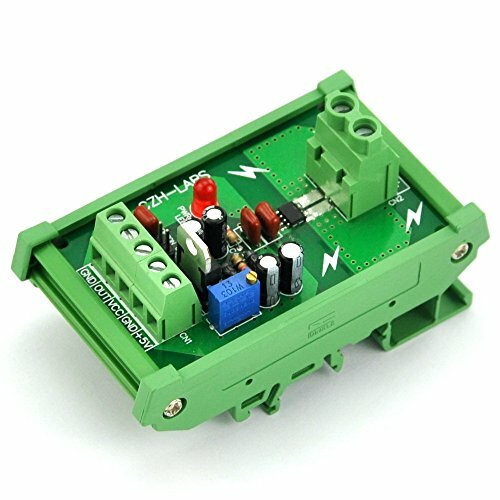 Current Sensor Module Board, +/-30 Amp, DIN Rail Mount Version. The item provides economical and precise solutions for AC or DC current sensing in industrial, commercial, and communications systems. Typical applications include motor control, load detection and management, switched-mode power supplies, and overcurrent fault protection. The device is not intended for automotive applications. Output voltage proportional to AC or DC currents. DIN mount case can be taken apart for panel mount use. Load Frequency Bandwidth: DC ~ 80 kHz. Minimum Isolation Voltage: 2.1 kV(RMS). Operating Voltage: Regulated 5VDC, or 8 ~ 35VDC. If you have any questions about this product by CZH-LABS, contact us by completing and submitting the form below. If you are looking for a specif part number, please include it with your message.